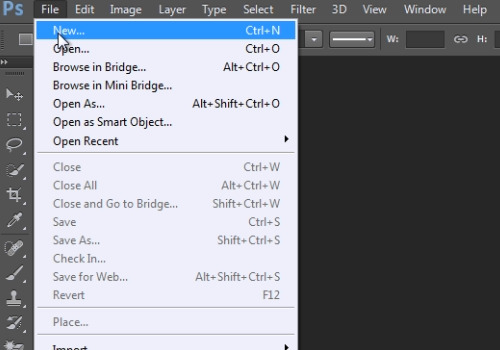 In this video tutorial we will show you how to draw a circle without fill in Photoshop. In the following window adjust the new document settings and click on the “Ok” button. Press the “Continue” button in the appeared warning message. 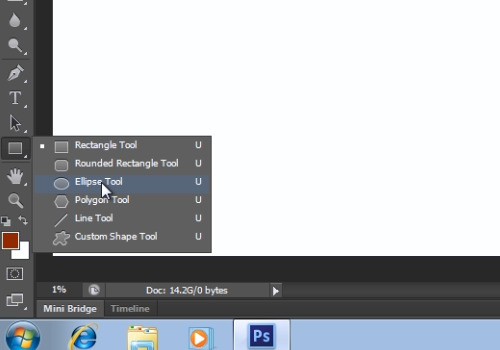 Then select the “Ellipse tool” from the toolbar. 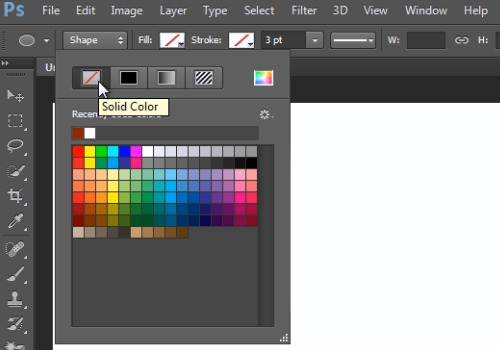 Go to the tool properties panel; click on the “Fill” icon and select the “No fill” option in the color palette. In the appeared “Create Ellipse” window press the “Cancel” button. Then hold the “Shift” key on the keyboard, do a left click on the canvas and draw a circle by moving the cursor. A circle without fill has been successfully created.